Organized at Philadelphia September and October, 1864. Moved to Deep Bottom Landing, Va., October. Attached to 1st Brigade, 1st Division, 10th Army Corps, Army of the James, to December, 1864. 1st Brigade, 1st Division, 24th Army Corps, to July, 1865. SERVICE.--Duty in trenches before Richmond, Va., until March. 1865. Appomattox Campaign March 28-April 9. 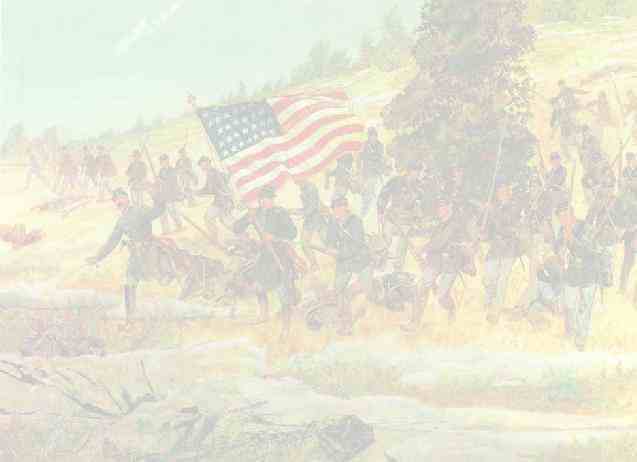 Assaults on Forts Gregg and Alexander April 2. Fall of Petersburg April 2. Pursuit of Lee April 3-9. Rice's Station April 6. Appomattox Court House April 9. Surrender of Lee and his army. Duty at Richmond, Va., until June. Consolidated with 188th Pennsylvania Infantry June 28, 1865. Regiment lost during service 2 Officers and 30 Enlisted men killed and mortally wounded and 52 Enlisted men by disease. Total 84. Many of the officers and men had seen service in other organizations, Colonel Briscoe having served upon the staffs of several general officers, as Chief of Engineers, and Lieutenant Colonel Lechler as Colonel of the One Hundred and Seventy-sixth. Upon being ordered to the field in October, it proceeded to Deep Bottom Landing, on the James, and was assigned to the First Brigade, First Division of the Twenty-fourth Corps, taking position upon the extreme right of the line of the army of the James, on the New Market Road. It was immediately put to fortifying, and soon had substantial breast-works, with well poised abatis in front. Shortly after its arrival, the Army of the James went into winter-quarters, and during the inclement season, hostile demonstrations were almost entirely suspended. During this period the regiment was thoroughly drilled, and was employed on picket duty, in building fortifications, and in cutting and constructing roads. The discipline was strict, and the sanitary provisions most excellent, so that spring found the command in good condition for active service. On the 27th of March, 1865, the division received marching orders, and crossing the James on the following day, moved southward, marching the entire night, and arrived on the 29th, in front of the rebel works. On the 2d of April, the division was led to the assault. Forts Gregg and Alexander, two strong works were in front, well mounted and efficiently manned. Against these the Union assaulting line was repeatedly led, but without success. Finally a strong column was formed, and being led with great spirit and determination, compelled the garrison, after having had three-quarters of its number slain, to surrender. President Lincoln, who was at the time at City Point, telegraphed the news of this success to the Secretary of War, in these words: "A portion of Foster's Division, Twenty-fourth Corps, made a most gallant charge this afternoon, and captured a very important fort from the enemy, with its entire garrison." The regiment participated in the charge here alluded to, and suffered severely. Eighteen of its number were killed or mortally wounded, including two officers, Captain Patrick O'Murphy and Lieutenant Robert M'Millan, and ninety-one wounded, including six officers, Colonel Briscoe, Captains John G. Bippus, Oliver C. Gregory, and Lieutenants Frank Ellison, Price C. Williams, and James Patton. For his gallantry in this action, Colonel Briscoe was brevetted Brigadier General, and placed in command of the brigade, and Lieutenant Colonel Robert P. Hughes, who had succeeded Lieutenant Colonel Lechler, took command of the regiment. As soon as the victory at Petersburg was made complete, the regiment joined in the pursuit of the retreating rebel army, following along the South Side Railroad to Burkesville, and thence to Appomattox, skirmishing by the way, having two killed and one wounded in the affair at Rice's Station on the 6th, and two killed and eight wounded in the final collision of the two armies on the 9th, near Appomattox Court House. Soon after the surrender, which occurred on the same day, the division was ordered to Richmond, and went into camp upon its arrival, two miles north of the city. Here the regiment remained, engaged in various duties until the 28th of June, when it was mustered out of service. The recruits were transferred to the One Hundred and Eighty-eighth regiment, of which Colonel Briscoe was made commander, and with that regiment was stationed at various points throughout Virginia, for provost duty. They were finally mustered out of service on the 14th of December.